When you think of spring, what comes to mind? 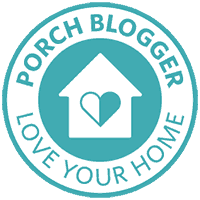 For me, spring means warmer temps, open windows, cleaning and organizing and new decorating!!! Spring makes me yearning for the house to be lighter and brighter. I am a cleaning and organizing fool and can’t wait to rid the house of clutter and clean what is left. In the blogging world, we start thinking about spring very early. Today, I am joining my blogging friends to bring you a post all about how to decorate a mantel for spring. How to decorate a mantel for spring easily always starts by removing everything that is on the mantel. 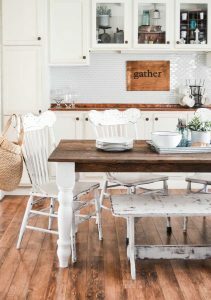 There is too much “noise” when you try to redecorate around things that are already in the space you want to decorate. Start with a clean slate. It will look fresh and new to you once you redecorate this way. The mantel in our living room is small. 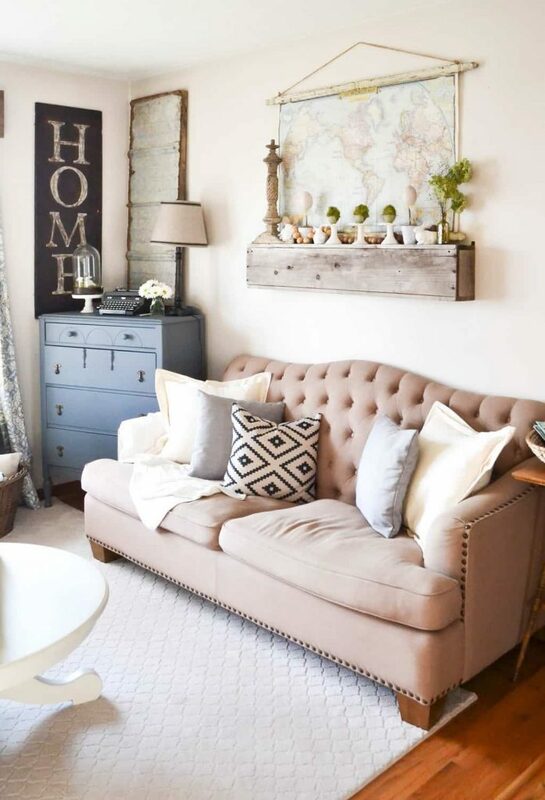 We turned an old box on its side and hung it on the wall above the sofa to create the illusion of a mantel. The DIY Architectural Map we made is full of pretty spring colors so it is the perfect backdrop for a spring mantel. The mantel is always first when I redecorate for a new season or holiday, but it quickly spills over to the rest of the living room. A box tray made from scrap wood is a great foundation for adding spring touches to. 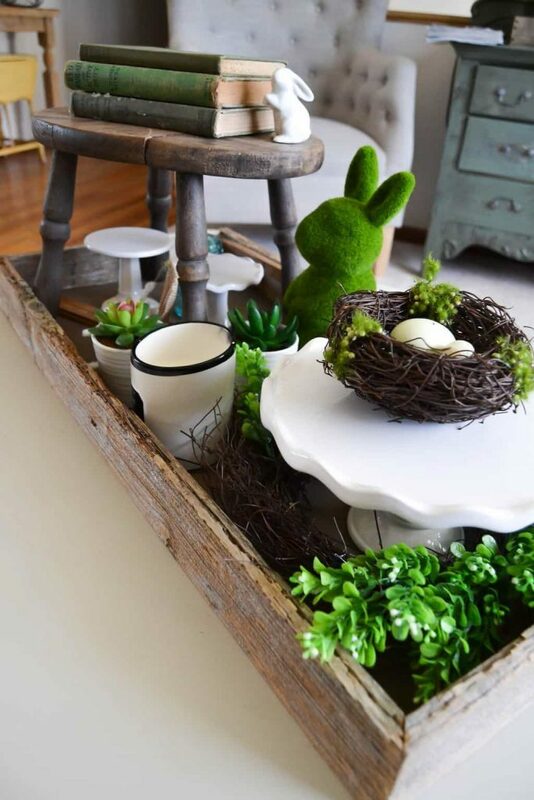 Bunnies, nests, greenery and spring candles were all this coffee table needed for spring. The throw pillows got changed, the coffee table got rearranged and I bring out the lighter and brighter throw blankets. It is amazing how changing pillows and throws can really change the look of a room. 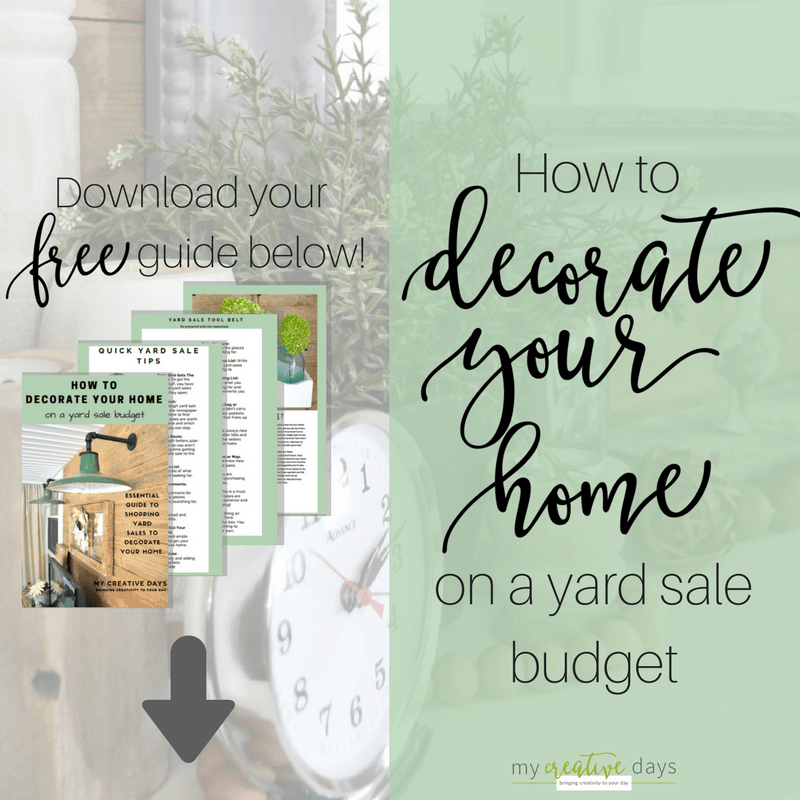 It doesn’t have to be difficult or cost a lot to redecorate for a new season. 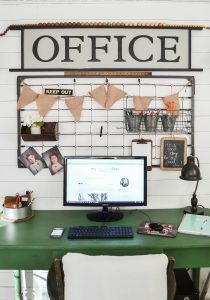 Reuse what you have in different ways and your space will feel refreshed and new! I added Target Hot Spot cupcake stands and clearance Easter pieces to the mantel. I also laid down a wood bead garland. I am loving the wood bead garlands! 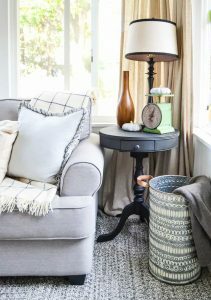 They are versatile, go with all styles and add another layer to the decor. I made the mossy eggs from wooden Target Hot Spot eggs, moss and glue. I will post this easy craft next week. An architectural piece and green bottle I scored at a yard sale round out the mantel. The hydrangeas were from last year!!! I have no idea how they have held their green color, but I will take it. I think I say this with every season, but I like changing things up for spring. I get bored easily and redecorating makes things look new, refreshed and brighter. Spring really puts me in the purging mood too. With all the organizing going on, things feel more open, spaces feel bigger and I don’t feel bogged down with too much stuff in the house. It is a win-win all around. 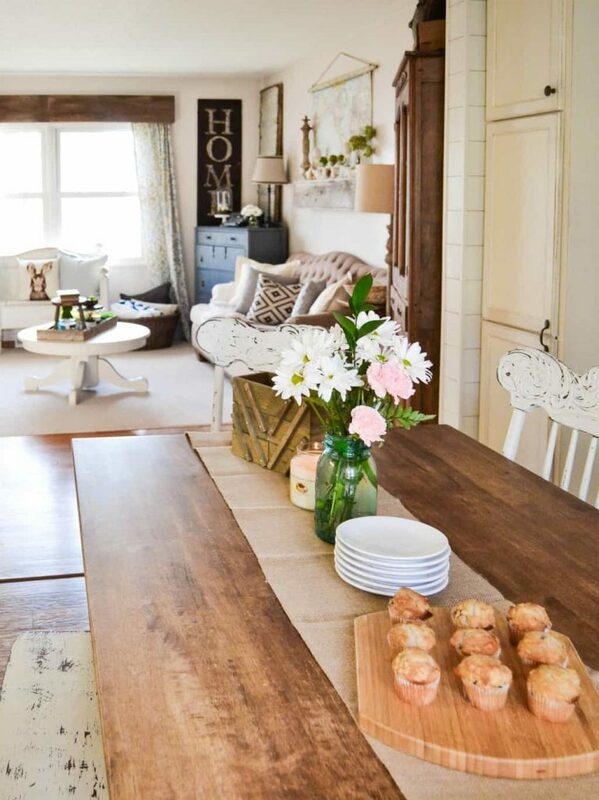 Do you decorate for spring? What do you look most forward to during the spring months? This is absolutely darling! I love that you created the perfect back drop for your spring items with that vintage map. I also love your crate on the coffee table filled with the cutest bunnies! This is so cute Lindsay! 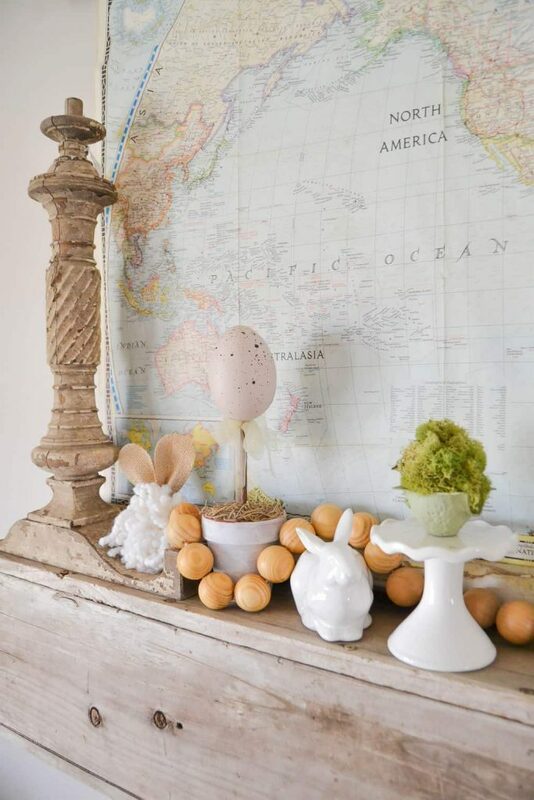 I love the map and all the spring decor paired together. I love what you did here, the map looks awesome behind that rustic shelf. I love the whole space! Pinning! Okay this is AWESOME! I am loving the colors in that map. It’s the perfect spring greenery backdrop. You’ve created such a beautiful display on your mantel and throughout your home. I LOVE that architectural map you made – SO cool! I just love those wooden beads. what a happy space! So unique, Lindsay! I love how your rescued pieces tie in with everything else. SO glad spring is finally here! Thanks Kim! We still have snow and cold temps. Hoping spring shows up next week! I love the your beautiful spring decorations, Lindsay! The mantel looks amazing, and all of those bunnies have me ready for Easter. So cute! SO cute. 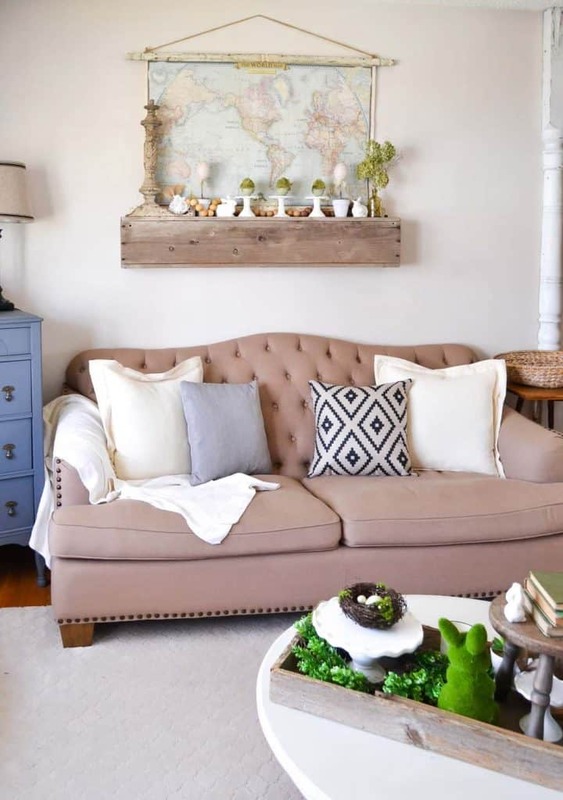 The vintage map is absolutely perfect as the backdrop with the rustic mantle. I love those moss eggs! The whole space is so lovely and the colors are spot on! Love it! Love this! The colors and textures work so well together and are perfect for spring! 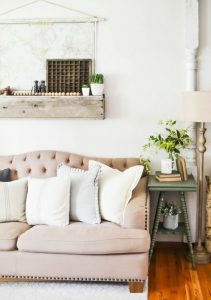 I love all of your pops of green, and that wood bead garland is fantastic—I need to add one or two of those to my decor. Your giant map is awesome, too! 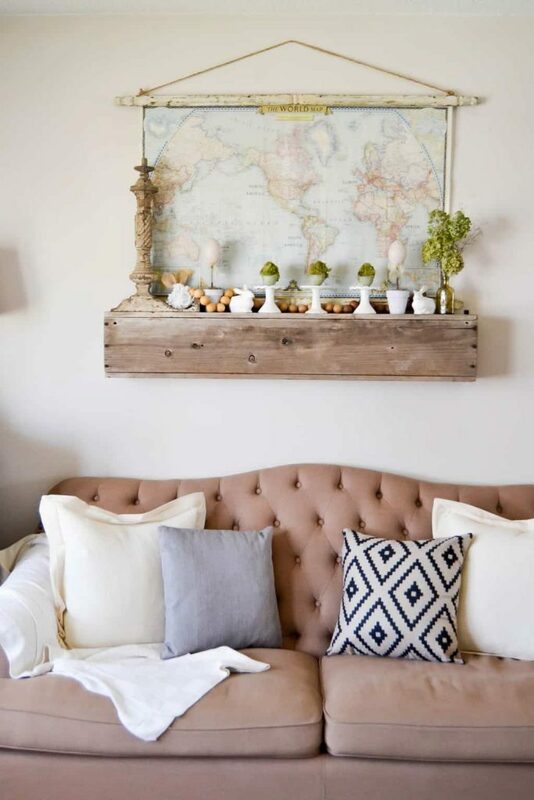 Love the idea of using an old box as a mantel and that map is fabulous! Everything looks beautiful Lindsay!!! Oh my goodness, I love your mantel, Lindsay! The soft colors are perfection! I really love the wood beads and those cake stands are darling! I think I need some of those moss eggs! I love the texture. And that map, so beautiful. 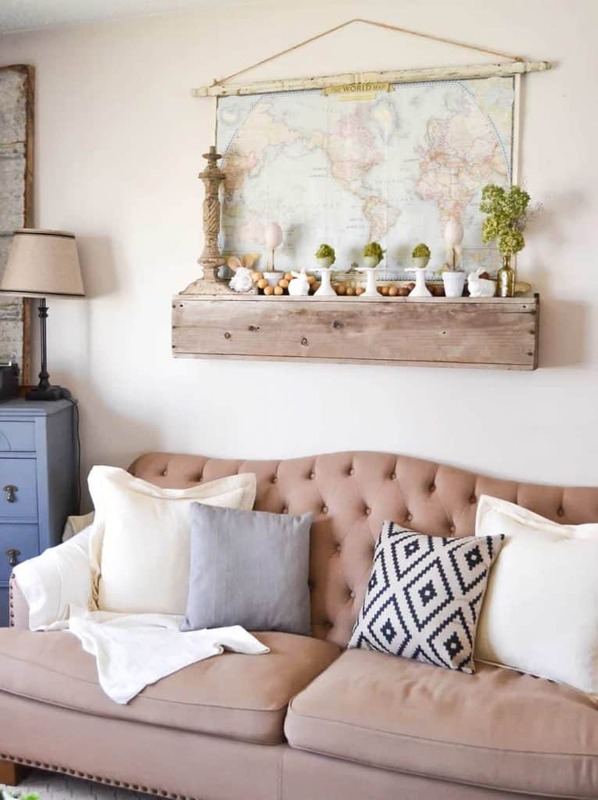 I love how you made your own mantel! It is gorgeous! Also, the map is amazing! Spring puts me in a purging mood, too! But I wouldn’t purge a thing from your decor; everything is beautiful! 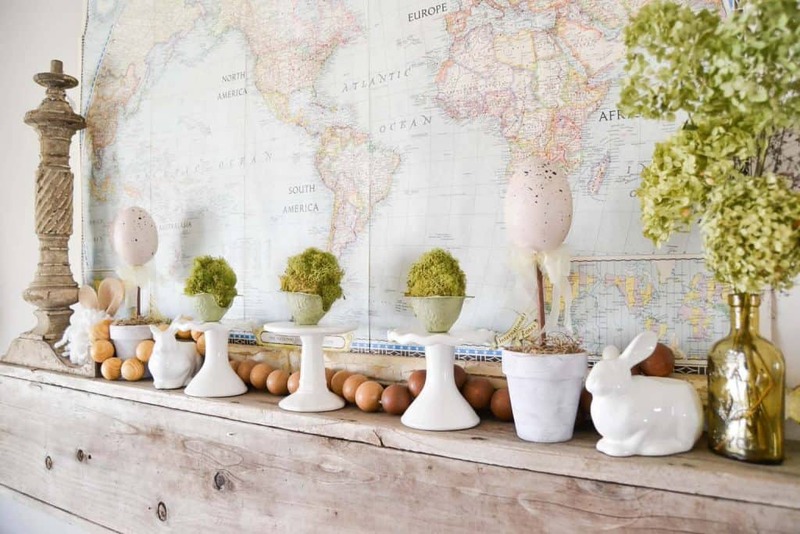 The mossy eggs are darling, and I love that tray you styled on your coffee table. So fresh! Girl! You are so awesome with arranging pieces just right and pulling it all together. I love your mantel and the vignette on the coffee table is perfection. I love this – so perfect for spring!! You know I love that green bottle, and that bead garland!